What is more fun than pumpkin carving? Glad you asked! Carving pumpkins that are so cool that the neighbors stop by to ask you how you did it! Some of these are scary. A few are amazing. Some are cute. And some you just need a sense of humor for! 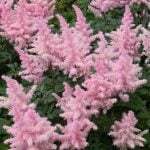 (Those are my favorites!) 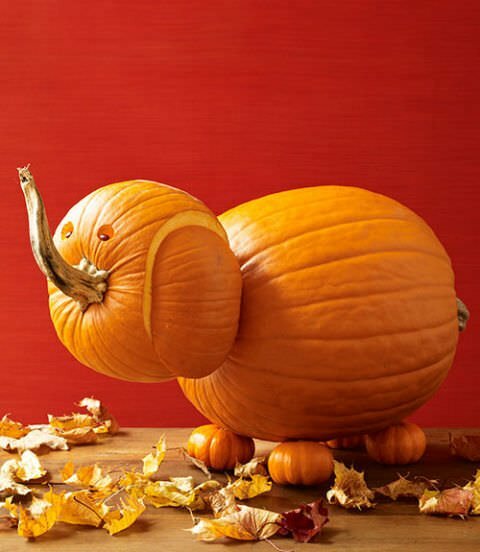 Try these cool pumpkin carving ideas you never thought of, and get a little squash silly, and have a little pumpkin play! 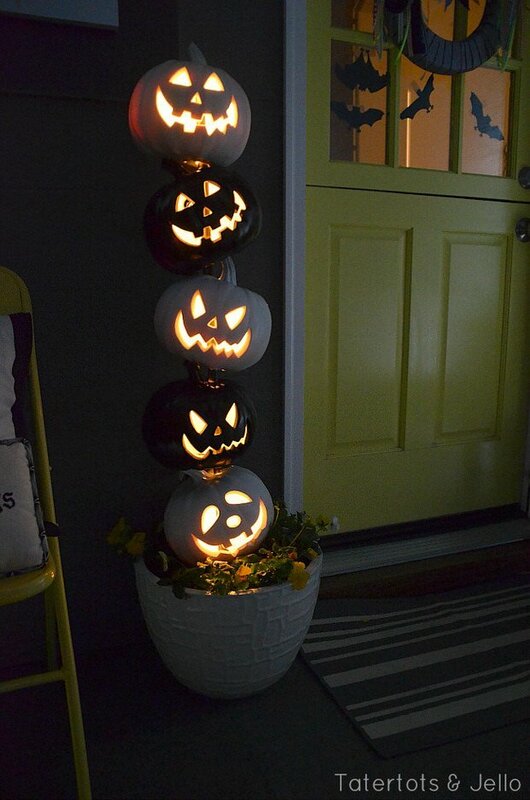 This black & white DIY Halloween pumpkin topiary from Jen at ‘Tater Tots and Jello’ adds a little drama to any front porch! She used pre lighted craft pumpkins and a wood dowel. Pretty simple, right? 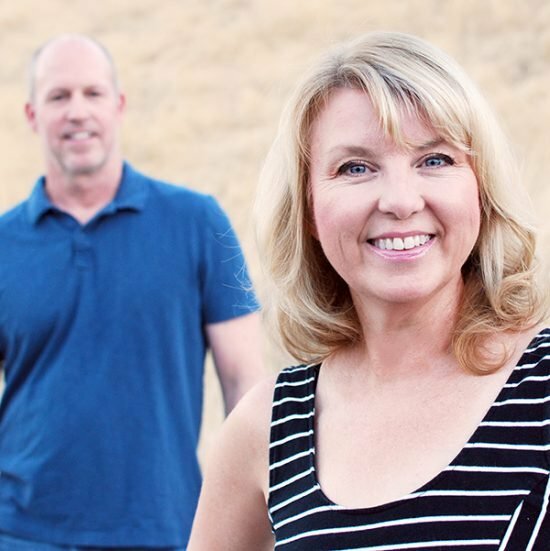 BTW, make sure to visit her house tour at the top of her page! 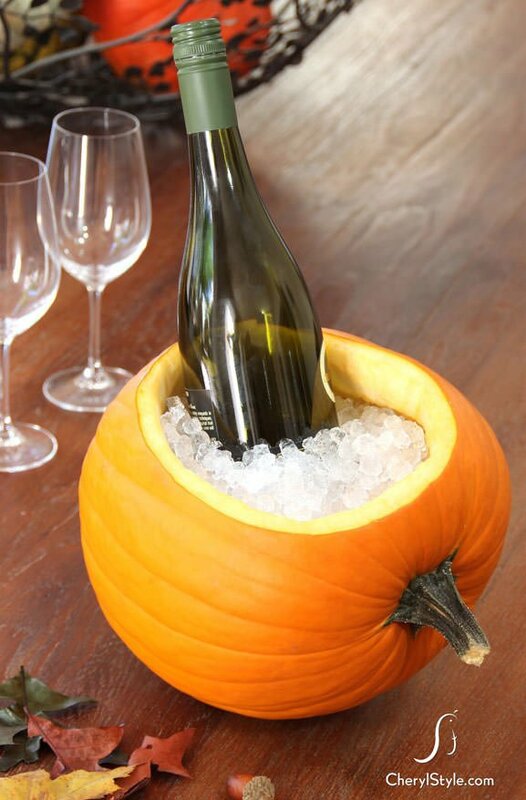 Ok, ‘Everyday Dishes‘ has a more “grown up” version of a cool pumpkin carving idea… Loving’ this DIY pumpkin ice bucket! How great would this be for a dinner with friends, and easy! Have mason jars taken over your Pinterest feed? Well, prepare yourself for one you haven’t seen before, and it has nothing to do with chalkboard paint. 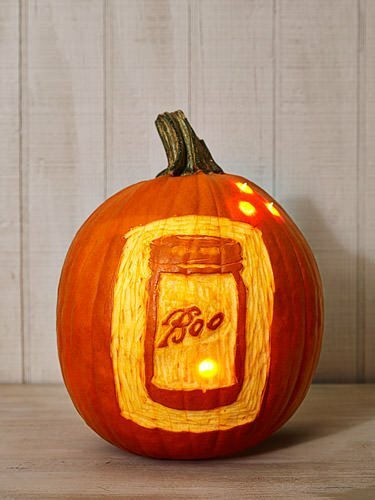 This “Boo!” jar pumpkin carving project from ‘Country Living‘ is clever. And, they have a free printable pattern! More from ‘Country Living‘, these spooky skeleton pumpkins have a tutorial complete with the template you need for drawing out the bones… And the instructions for how to carve them, and attaching them together. Oh, my, cuteness. 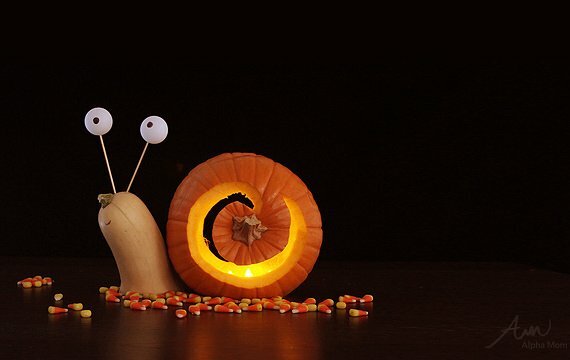 This DIY snail Jack O’Lantern from Brenda at ‘Alpha Mom‘ should be the fav cute pumpkin carving idea of every 8 year old on the planet. So cute, so easy, so original! From ‘Womans Day‘, no, these aren’t pumpkins. We got that. But come on, could we leave this amount of cute out of this post? Nope. So here it is, the tutorial for the frog choir! 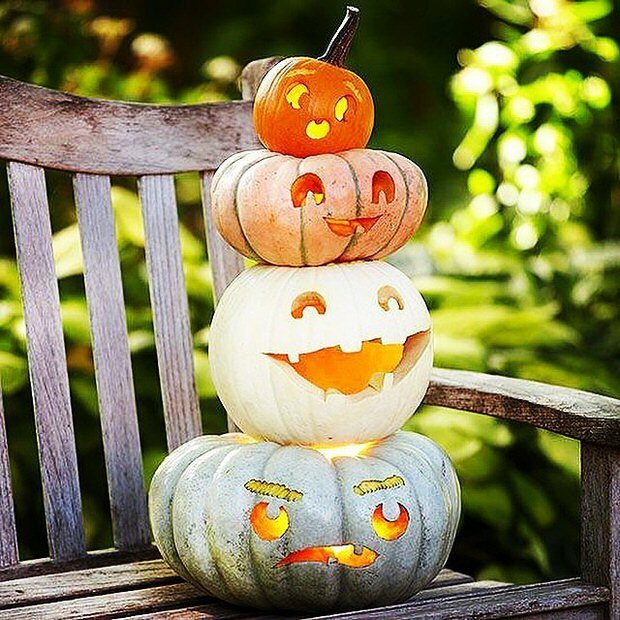 From ‘Popsugar‘, an Instagram user posted this photo of a pumpkin tower, and each one has a different facial expression. Easy way to add some interest to a grouping! Star Wars fan in the fam? 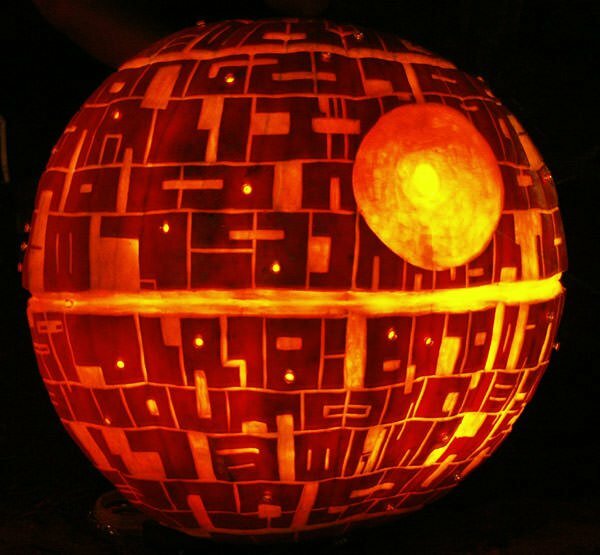 This Death Star pumpkin by ‘Fantasy Pumpkins‘ is one of those cool pumpkin carving ideas I can see a hubby or two spending some time on. Ok, let’s be fair, and not sexist. ANY Star Wars fan, right? 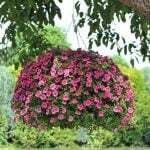 Good instructions and step by step photos. 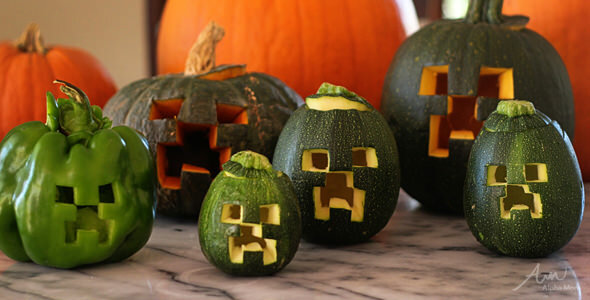 Another one from Brenda at ‘Alpha Mom‘, these Minecraft creeper green carved pumpkins are a gamer kid’s dream for Halloween! Good tutorial. Ok, this one is cool. 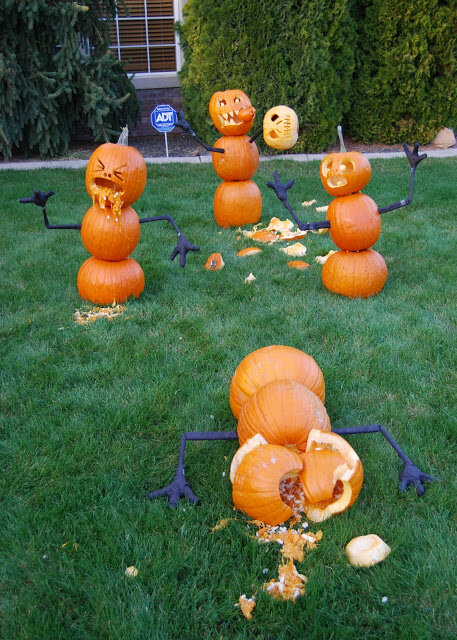 ‘Erratic Project Junkie‘ made this pumpkin massacre that is just fun! Ok, Halloween creepy fun, but fun! Great photos of the whole “killing field”. Ok, so about now, you’ve got a lot of DIY tutorials under your belt, how about we hook you up with some free pumpkin pattern and template resources? 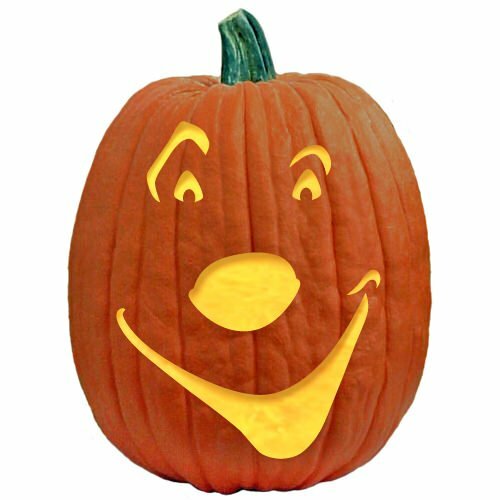 So ‘Pumpkin Lady‘ has hundreds of free pumpkin carving patterns for you, and tips on how to carve. Like 700. How do you choose??? Got technology? Who doesn’t, right? ‘Popsugar‘ has these free Emoji cute pumpkin templates for those of us so inclined… Smiley face with a wink and a blush? 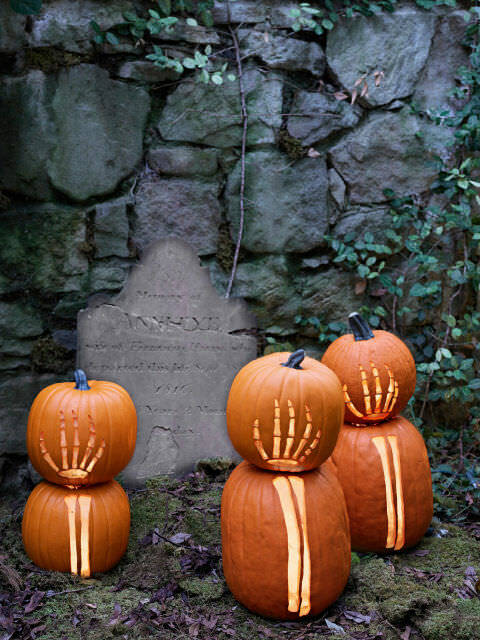 Ok, now just a couple that we thought were really cool pumpkin carving ideas. 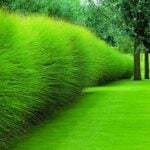 These are inspirational, no tutorials, but hopefully get your creative brain popping’! 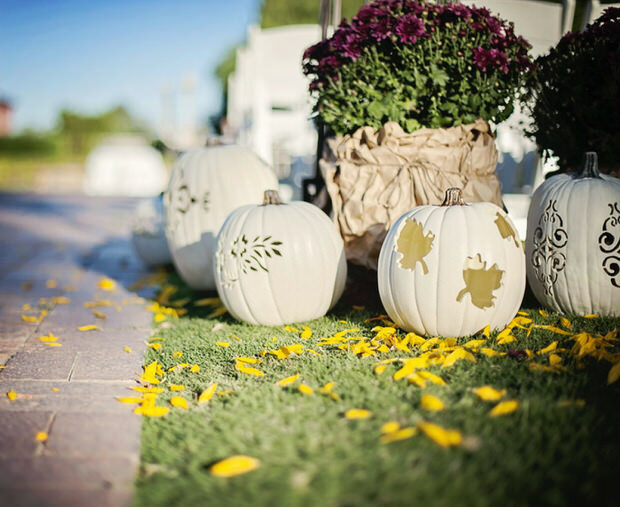 From ‘Style Me Pretty‘ and ‘Raylene Streuber Photography’, these white carved pumpkins are elegant and much less dramatic, but can be used for more than just Halloween! 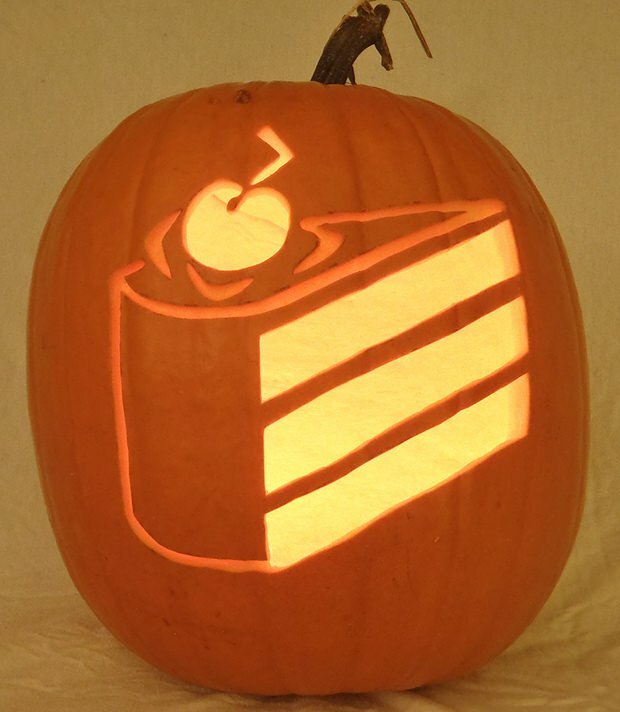 This cake pumpkin from ‘Deviant Art‘ might be perfect for the chef in the house! 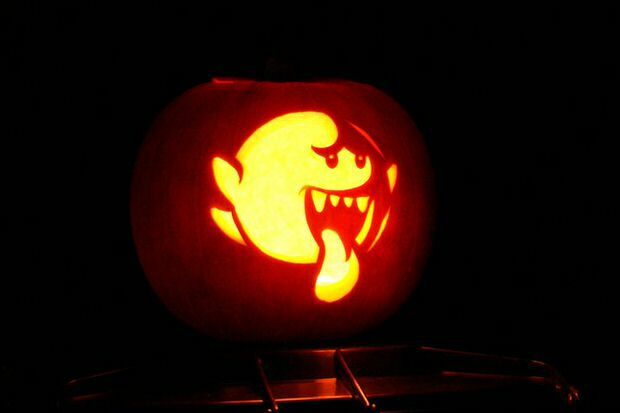 Lastly, we have this Mario Bros. pumpkin from ‘Flickr‘, which just goes to show you how much personality you can show off in a Jack O’Lantern! 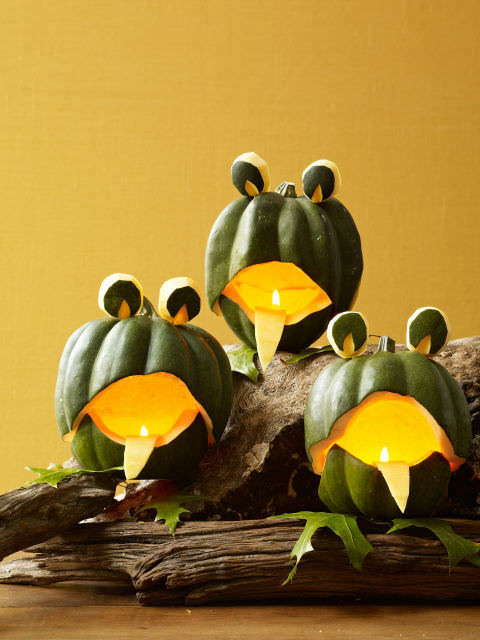 We loved these DIY cool pumpkin carving ideas! 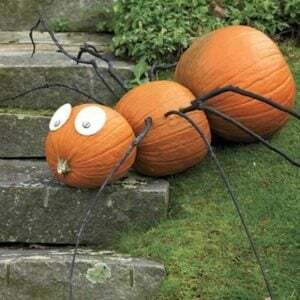 We think you would also like our posts on Front Porch & Outdoor Halloween Decorating Ideas and DIY Pumpkin Carving with a Drill! Don’t forget to pin these projects for later! 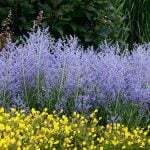 Thanks so much, glad to have you here!